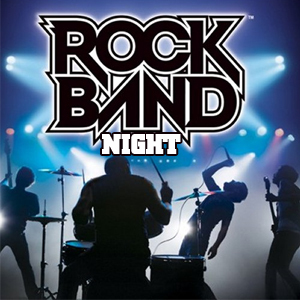 Band Night – an ICT and English lesson. I recently observed a magnificent lesson that involved a group of students using Power Point to create a short TV advert. I thought this was a fantastic idea and all of the learners seemed to feel the same way so I decided to adapt the lesson into a mini project for Entry Level 3 and Level 1 English and ICT students. The project is based on the theme ‘band night’ and involves the students creating their own band with their own logo, two posters to advertise the event and a short TV advert. Depending on the resources at your establishmets you could arrange a photoshoot for the students to take promotional photos of their band and you could also use video cameras so the students can record short interviews for their TV advert. The basic equipment that you will need to run this project is; a pack of flip chart paper, pens, one computer per student, internet access, Microsoft Word or Microsoft Publisher and Microsoft Power Point. The project is designed to run over three 1.5 hours sessions. In pairs the students create their own band. They need to give their band a name and decide on the genre of music that they play. Once they have decided these details the next task is to use a logo generator webiste (http://cooltext.com/ or http://www.flamingtext.com/) to create a logo for their band. The logo will be used as part of the poster and tv advert. Once the students have created their poster it is now time to use Microsoft Power Point (PPT) to create the TV advert – the advert will be a series of slides that have been set to play at a certain speed. Before they start working on the computer in their pairs the students will work together to plan their advert. Once the plan is complete they can use the computer to design their advert. For details on on how to convert the PPT to a movie file click here. Once all of the adverts are complete you could hold a class screening and awards ceremony where the class vote for their three favourite adverts. A worksheet that I have produced for this project can be dowloaded by clicking on the ‘Band Night Worksheet’ below. This entry was posted in Resources and tagged ICT, Literacy, Resources by Gemma H. Bookmark the permalink. Thanks for sharing this class with your readers, I hadn’t realised that it was possible to create videos of powerpoints using Windows office 2010 and have been struggling with a combination of jing screen capture and powerpoint 2007.